Enjoy your Valentine's Day at The Way 2 Dance studio and make it a very special celebration for two of you! Valentine's Day Group Dance Class will teach you how to dance Rumba/ Slow/ Free style Dance in social settings! Enjoy your Valentine's Day at The Way 2 Dance studio and make it a very special celebration for two of you! 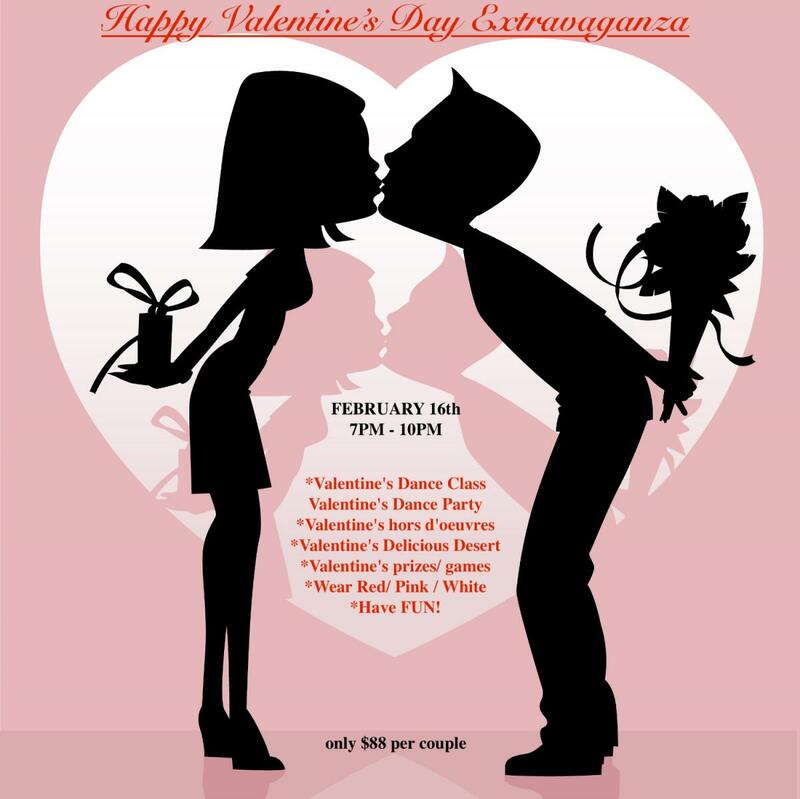 Valentine's Day Group Dance Class will teach you how to dance Rumba/ Slow/ Free style Dance in social settings. We will be introducing you to New Moves and New Songs! Learn the dances that you will be widely using at a Romantic evening, Wedding event, Cruise or Anniversary party...These are few dances you will be gladly dancing with your loved ones and friends you like to go out! Bring someone you like or love and have a good time learning The Way 2 Dance to Romance!